Whether you want to overcome a single step or access several floors of your home, school or church, our line of vertical platform lifts have an option to fit your needs. With models ranging from standard outdoor units, to portable, self-enclosed, or hoistway models, we can accommodate most configurations in both residential and commercial settings. 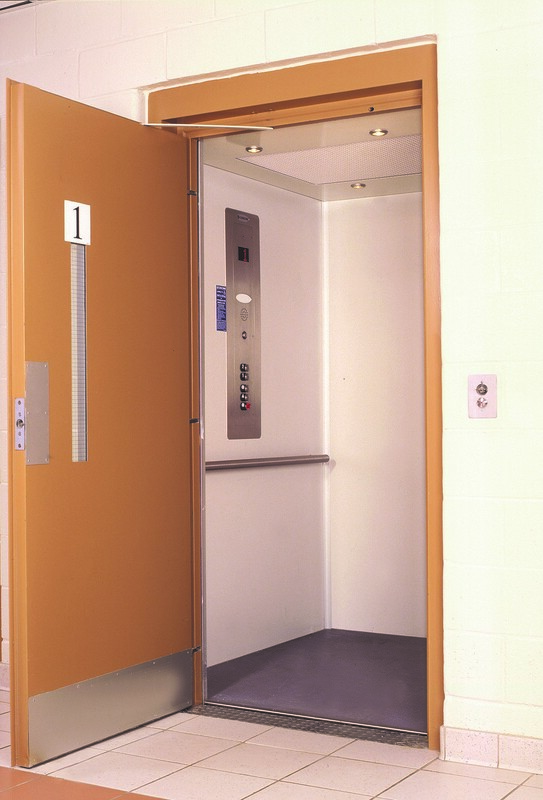 Features such as a smooth, quiet ride, low profile and small footprint make vertical lifts a cost effective option in lieu of ramps or home elevators in some cases. 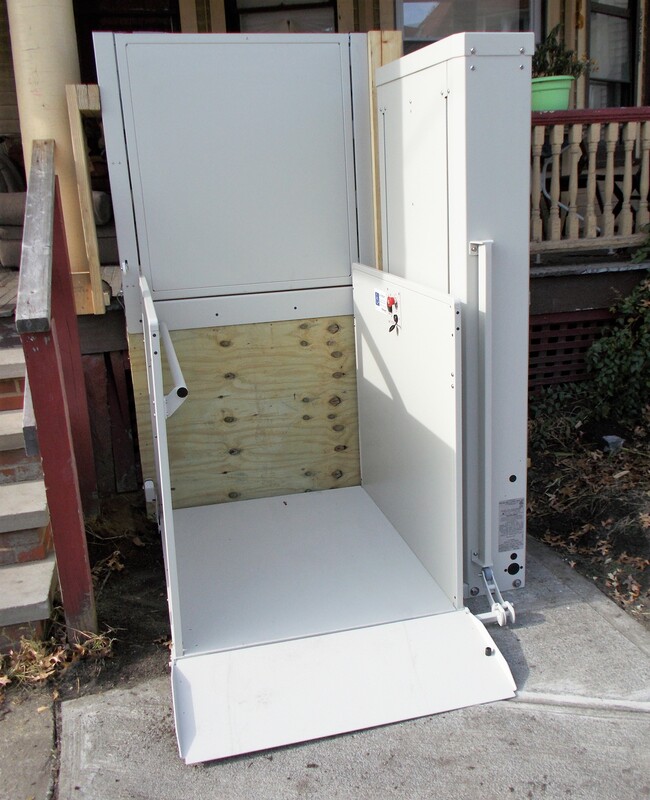 Our line of vertical lifts are engineered for your safety and comfort. Each lift undergoes rigorous testing for quality assurance prior to shipping, ensuring they comply with ADA accessibility guidelines. 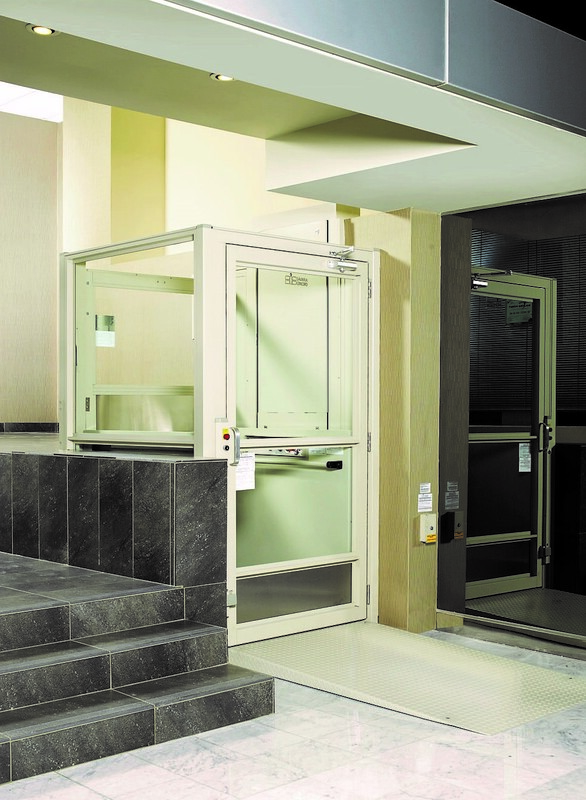 The multiple safety features built into each vertical lift ensure the most reliable, comfortable product. Sensors can detect when an object is blocking the lift’s path, helping to prevent damage to the item or the lift itself. Once the path is cleared, it will then continue traveling to the next level. Constant pressure unit controls, as well as an emergency stop button are also located on the platform for use of the rider and/or attendant or caregiver. 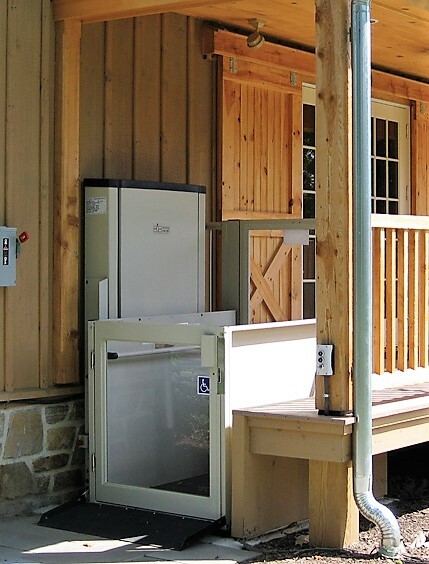 With a rated weight capacity of 750-lb., Bruno's vertical platform lift can handle virtually any occupant. Its rugged dependability and powerful performance provide complete confidence in its capacity. Bruno even further develops your peace of mind with a battery powered vertical platform lift option. The battery powered option provides access in and out of your home even during a power outage. Bruno's line of Commercial Vertical Platform Lifts feature a weight capacity of 750-lbs. and can handle virtually any power wheelchair or scooter and occupant. This battery powered unit will operate even during a power outage. Providing convenient public access in churches, schools, businesses and more, Bruno offers the perfect solution for you. Savaria's Multilift vertical lift provides convenient, easy and reliable access for applications with up to a 72” lifting height. An ACME screw drive with back-up nut for strength and precision of movement insures reliable performance and ease of operation. The Multilift is durable and up for the challenge of tough climate conditions. 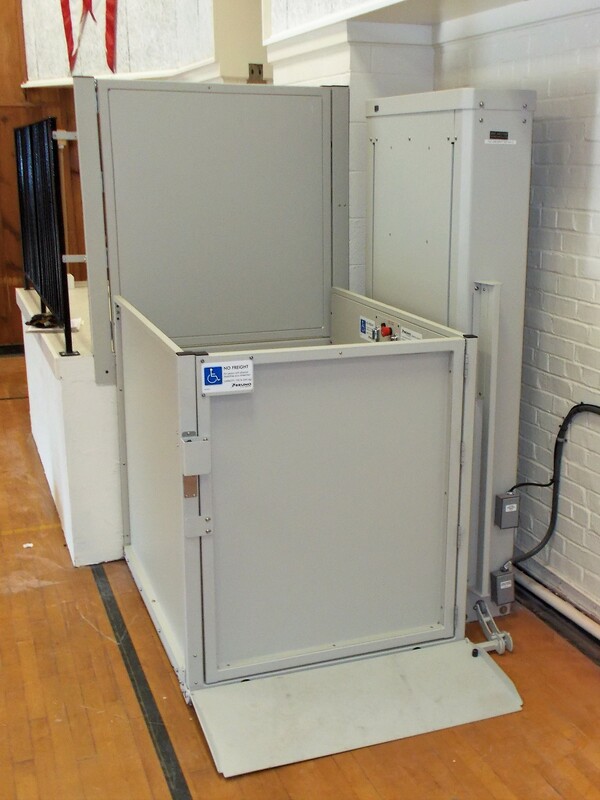 This vertical lift is approved for certain commercial applications and is available to suit a variety of needs such as enclosure, mobile and three-gate applications. The V-1504 vertical lift has an extremely versatile design that can be configured and customized to suit virtually any project requirements. The roller-chain hydraulic drive is reliable and provides a high efficiency and comfortable ride. From the rugged outdoors, to the most luxurious office tower lobbies, the Savaria V-1504 is ready to serve with its reliable performance, ease of use and range of finish options. This vertical lift is suitable for both residential and commercial settings. The Prolift vertical lift can be installed in new or existing structures and is a great choice for public spaces such as schools, places of worship, etc. Its durable design, ADA-compliancy and cable hydraulic drive delivers a reliable performance with a smooth and quiet ride. There are two versions of the Prolift: Standard (SCL) and Heavy Duty (HD). The HD version features a higher capacity (up to 1400 lb). and can be configured to travel up to 14' with as many as 4 stops.